Angie in T.O. : SPRING HAS SPRUNG! 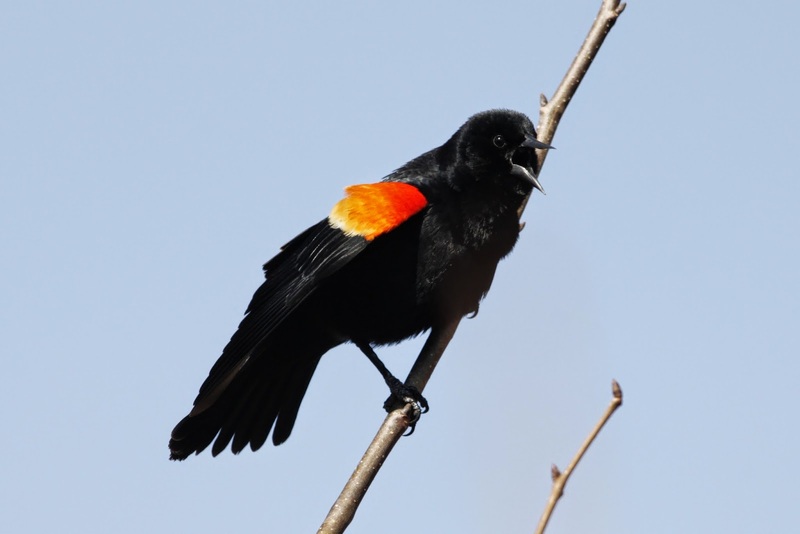 The return of Red-winged Blackbirds is the first sign of Spring for us. It was beginning to look like Spring was never going to return, as we did have that little hiccup of snow this past Wednesday, but I do believe Spring is finally here. Last Saturday I was looking forward to getting out to a local park to see if we could find some of the first returning migrants. It's always exciting experiencing those "firsts of the season". 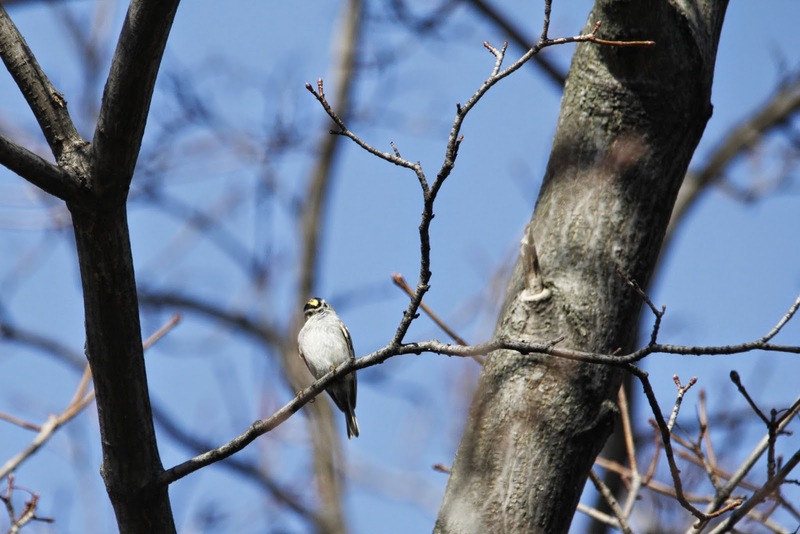 A Golden-crowned Kinglet checking us out, as we check him out. 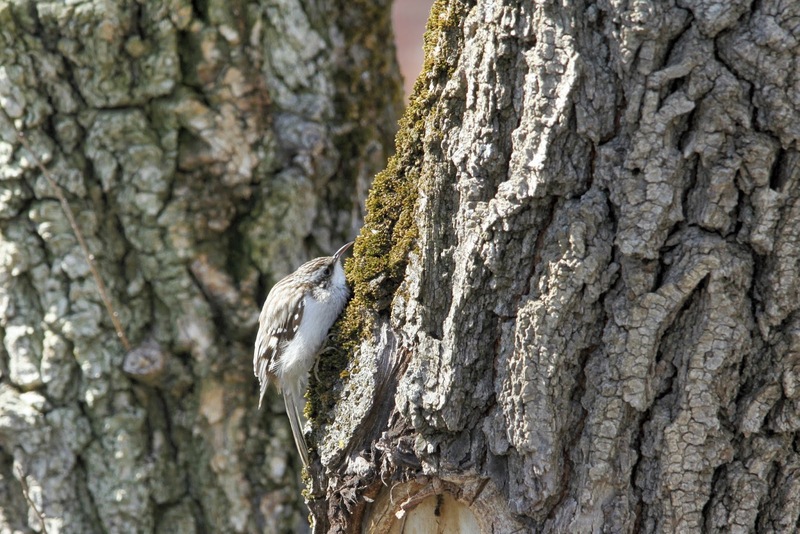 We saw many Brown Creepers on this outing. 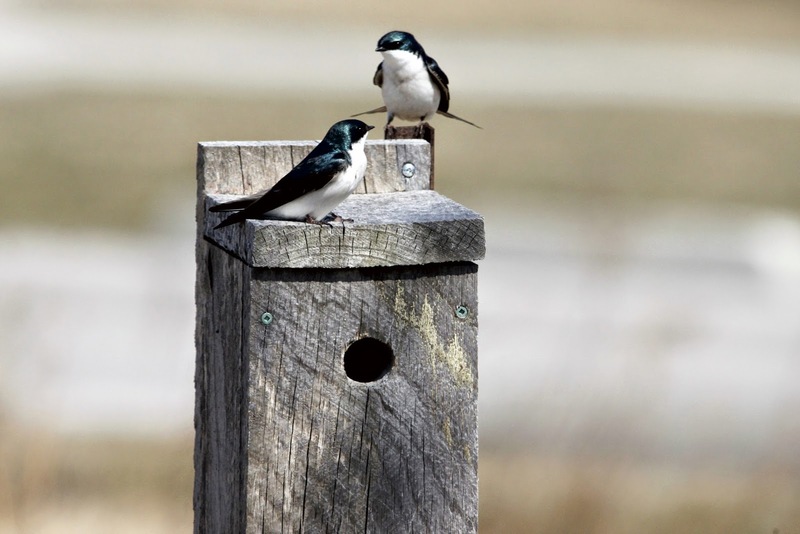 The Tree Swallows are back and setting up house for another season. One of the coolest things we saw but got no pictures of, was 6 Black-crowned Night Herons all sitting in a tree together. They probably all arrived together that morning after flying all night. That sight really made me step back and think about the magic of migration. All these different species of birds flying thousands of miles, year after year, following the same routes to arrive and raise families before making the return journey. Rob recently did a BLOG on an outing he did Sunday when he joined a group who manage an Eastern Bluebird nest box trail. He saw a few summer migrants on that outing. Still so many species yet to arrive, it's a grand time to be a birder! A very exciting time of year, for sure!